The CAP has made life in the Valley possible. 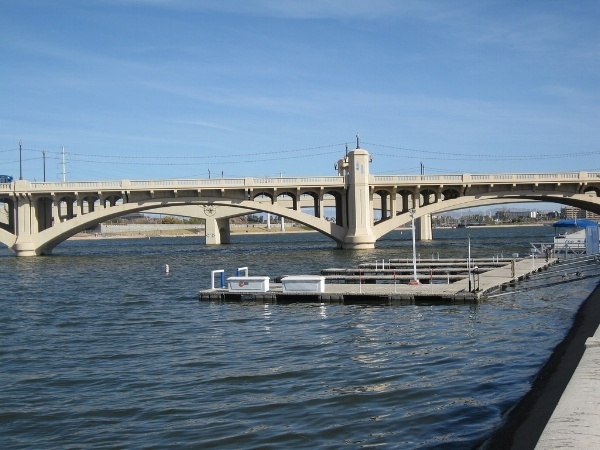 Our Phoenix area water is mostly comprised of surface water: a portion of our water comes from lakes and wells. We have to be mindful of the amount of groundwater we extract, since a groundwater shortage will adversely affect the water table and therefore diminish the local fauna and flora populations with whom we share the water supply. The Central Arizona Project, or CAP, brings us about half our water. 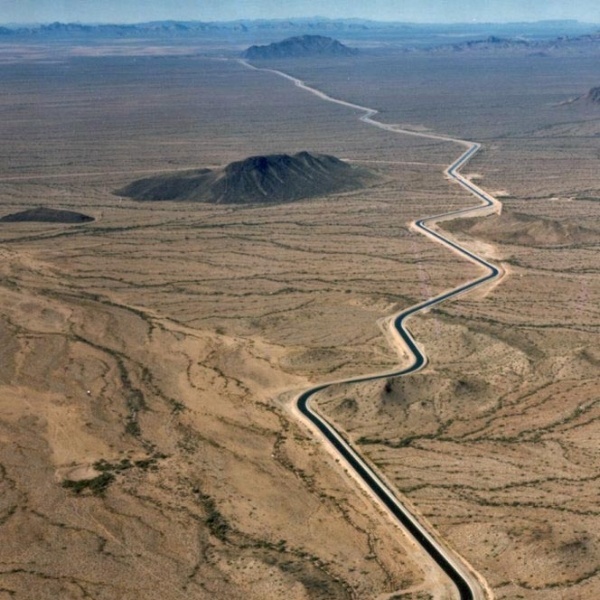 To get support from California to build it, Arizona had to agree to take cuts first in the event of a water shortage in Lake Mead. So far, that hasn’t happened, but could happen as early as next year. At the treatment plant, the water is initially run through screens to filter out leaves, twigs, and other small pieces of debris. Then the water is allowed to settle, so the largest particles in the water turn to sediment and drop to the bottom of the pre-sedimentation tank. Next, a chemical coagulant is added, which is a compound that allows dirt particles to cling together. These grouped particles become heavy enough that they also drop to the bottom of the tank. The water on top is sent through filters for further debris removal. In the final treatment, a small quantity of chlorine is added to the water. Chlorine is a disinfectant, and will prevent microbial growth. Phoenix uses about one part per million of chlorine in the water leaving the treatment plant. The minimum federal standard is .2 parts per million. Also, a bit of fluoride is added to prevent tooth decay. Careful use of the groundwater assures Arizona fauna and flora won’t disappear. Throughout the treatment, the water is sampled and tested to check that the final product is potable and clean. Tap water is heavily regulated in most places; the Phoenix water quality surpasses all federal standards. While taste, odor and hardness do not affect the water quality, the city is sensitive on the subject of odor, since the water will sometimes carry an odor as a result of algae in the canals. This odor in no way affects the water quality. The water travels through seven thousand miles of main lines. The city has built reservoirs and booster pumps to help move the water along, which totals to about 264 million gallons per day. Up to 4 parts per million of chlorine is added to the water in the distribution system. The average Phoenician uses about 100-130 gallons per day--mostly by flushing the toilet. Regulatory oversight for water quality is provided by the Environmental Protection Agency. The city water has to be in full compliance with EPA standards. If you want to know more about the water quality, you can request a copy of the latest water quality report here.